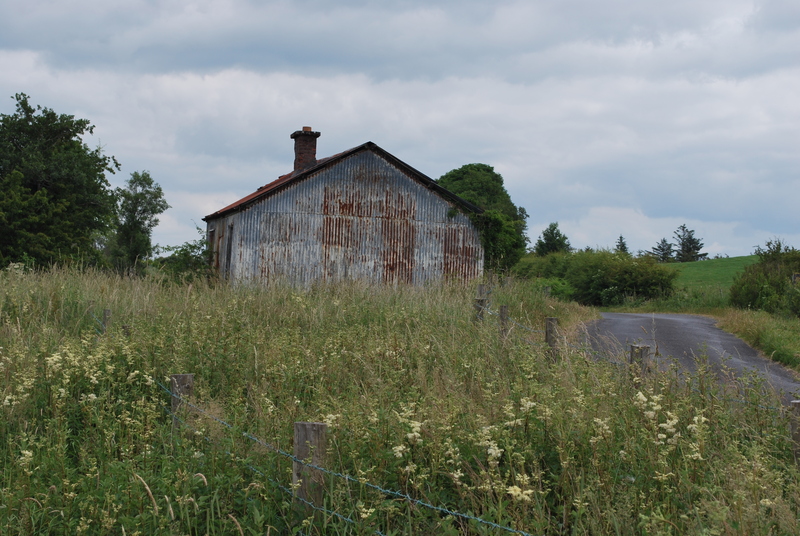 Three views of an abandoned corrugated-iron level crossing house in the townland of Carrownloughan in county Sligo (south of Coolaney). 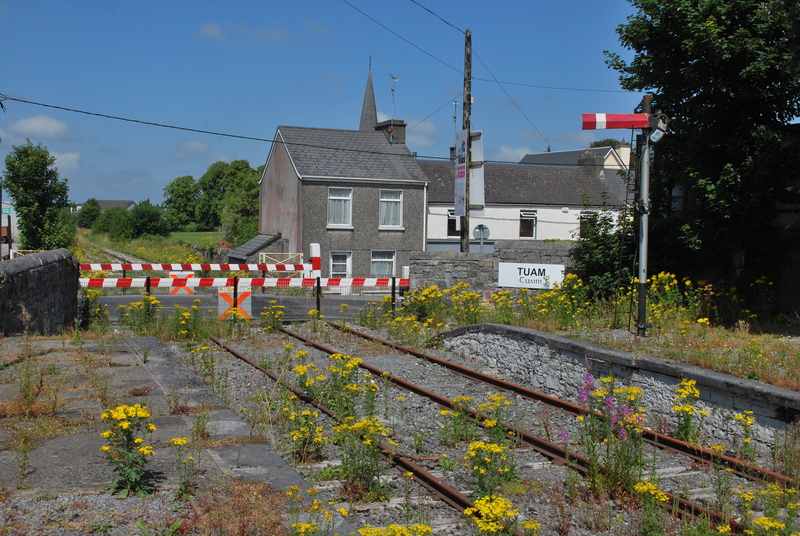 Remarkably similar in terms of materials and design to other level crossing houses built throughout Ireland in the 1880s and 1890s. 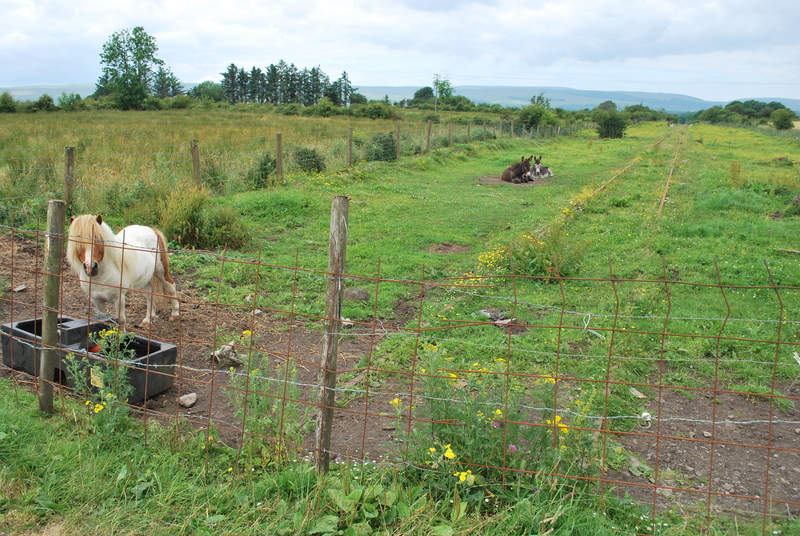 Here is the map link, and a sunny-day image from Google Streetview (taken in October 2009). 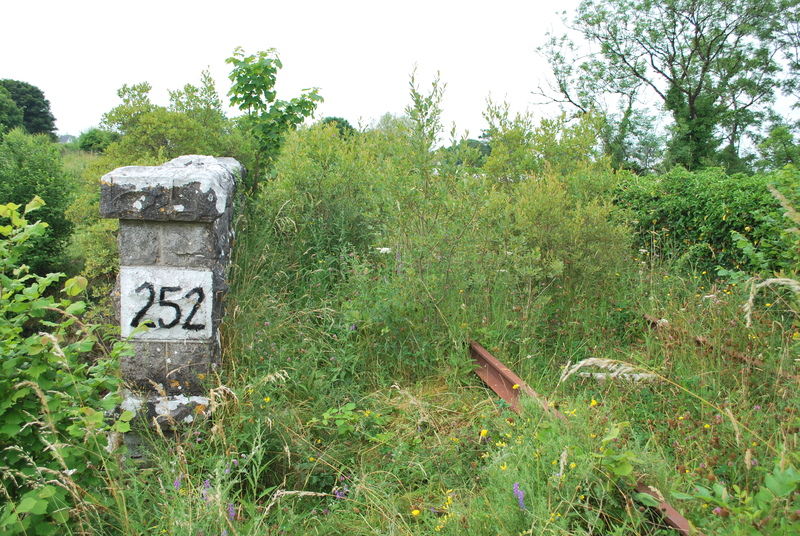 A view of either side of the abandoned level crossing in the townland of Lissaneagh in county Sligo (north of Tobercurry), formerly part of the Claremorris-Sligo railway. 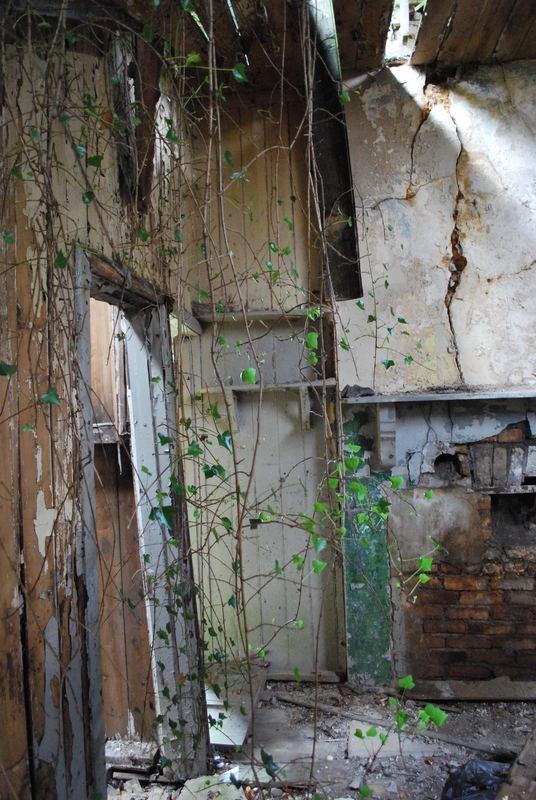 Opened 1895, closed in the mid-1970s. Here is the map link. 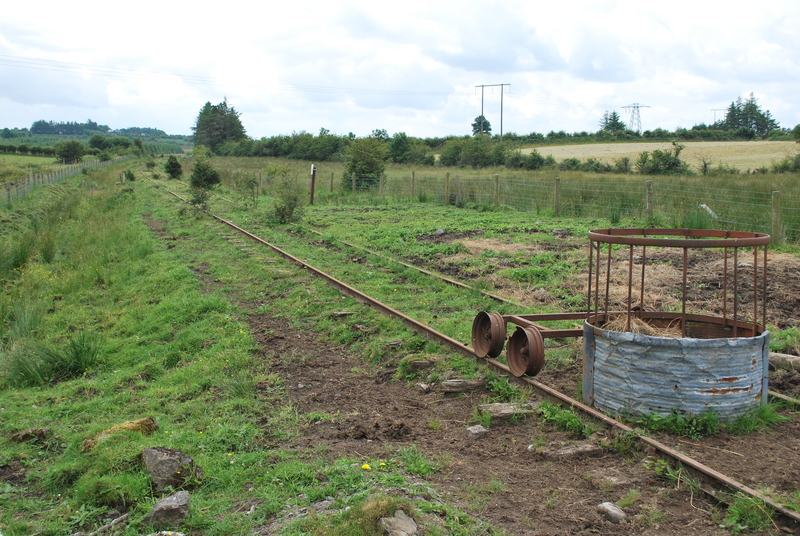 Two photos from the abandoned ‘Burma Road’, the 1895-built railway linking Claremorris with Sligo in the west of Ireland. 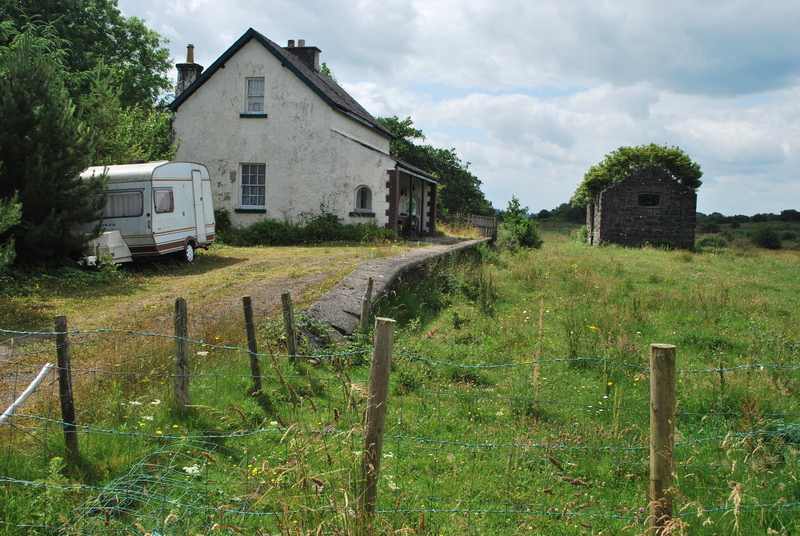 Carrowmore station was one of the most isolated of the line, if not in the entire country. Here is the map link. 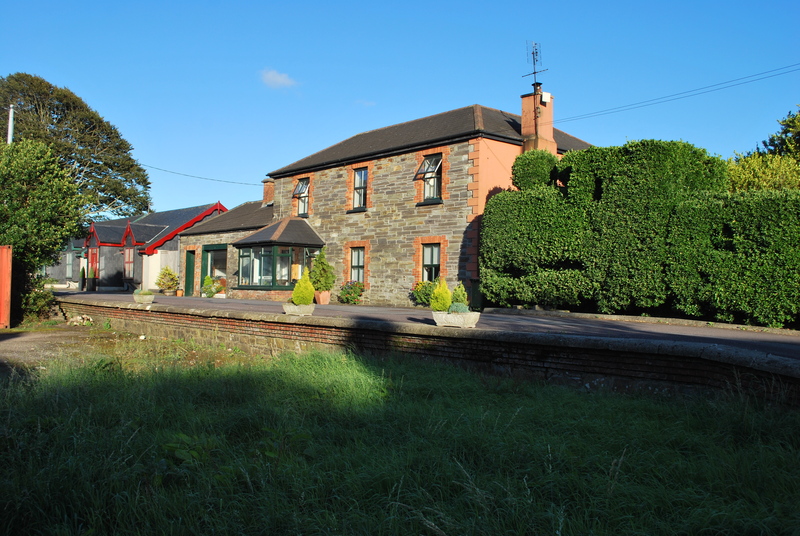 Situated on an incline to the north of Clonakilty town centre, the station building (1886) is still perfectly intact and is now a private residence. 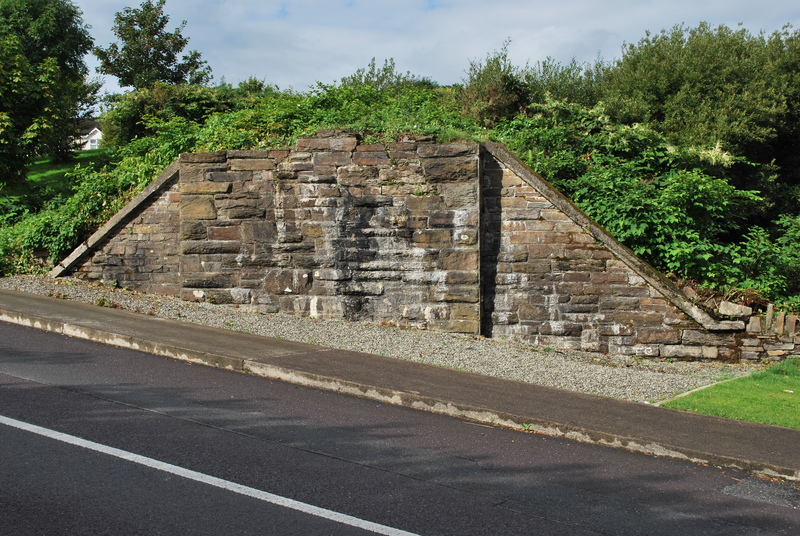 This was the terminus of the 1886 extension from Gaggan (Clonakilty Junction) near Bandon to the town, via Ballinascarthy. Here is the map link. 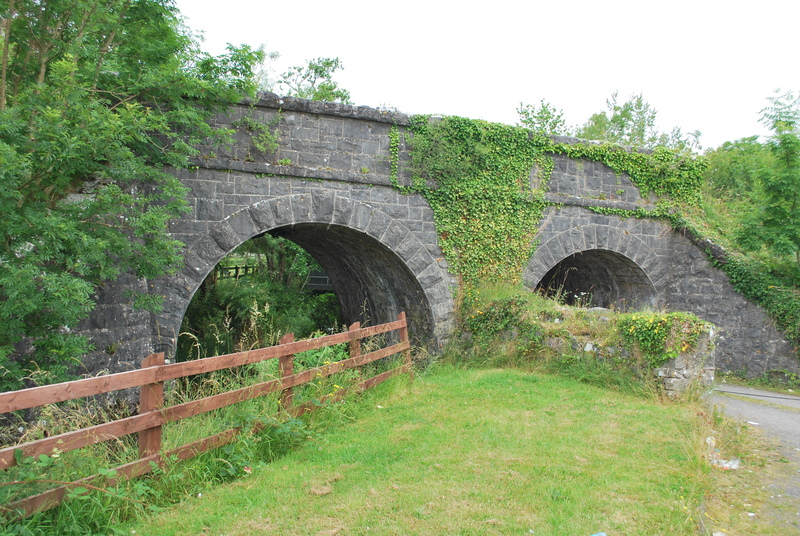 Located at the start of the ‘Burma Road’, Tuam station was opened by the Waterford, Limerick and Western Railway in 1860, a company later purchased by the Great Southern & Western Railway. 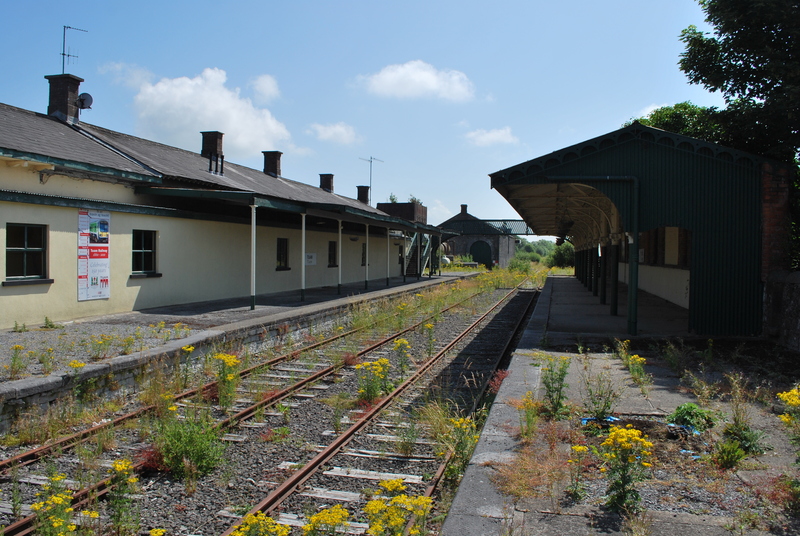 It was formerly an important station on the Limerick to Sligo route, but lost its last services in the 1990s and is today in a derelict state. 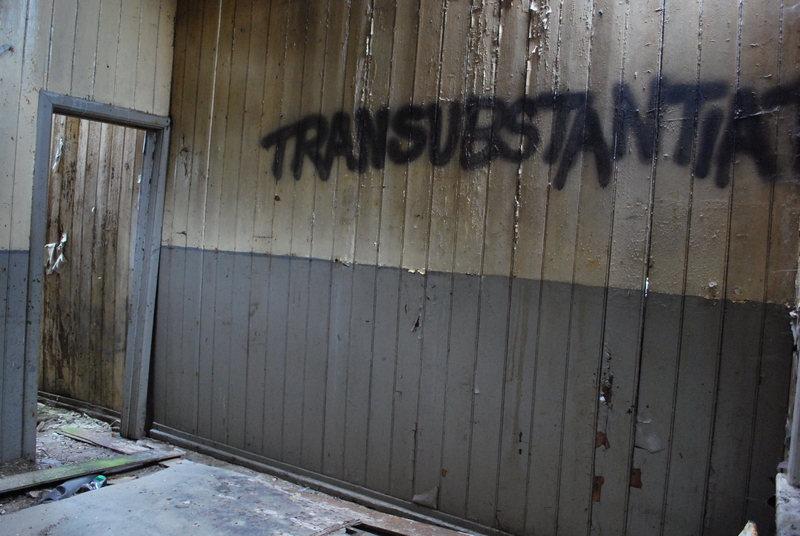 These photos date from July 2013. 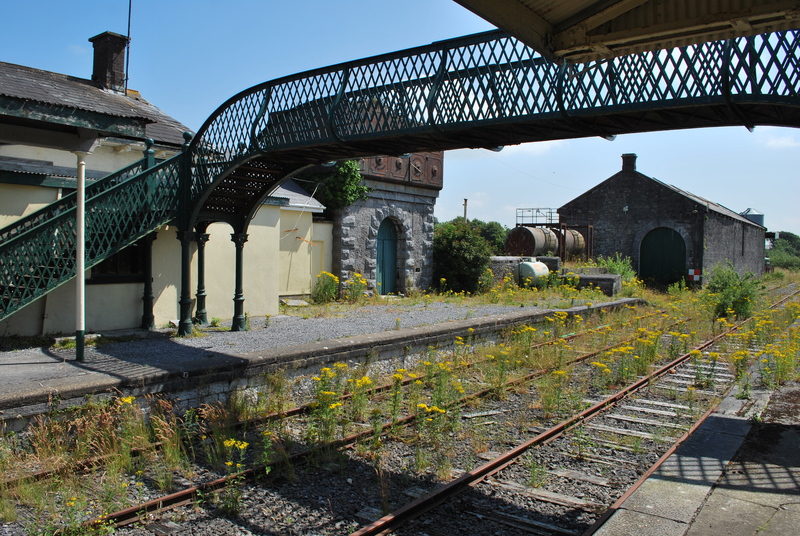 Plans to reopen the station, as part of the ‘Western Rail Corridor’, have been put on hold since the 2008 recession. Here is the map link. 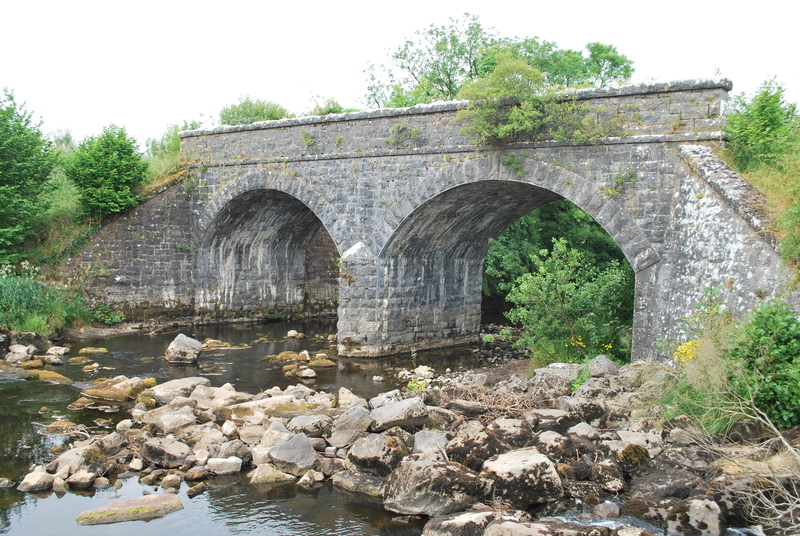 An attractive stone bridge over the Owengarve river near the village of Curry in county Sligo. 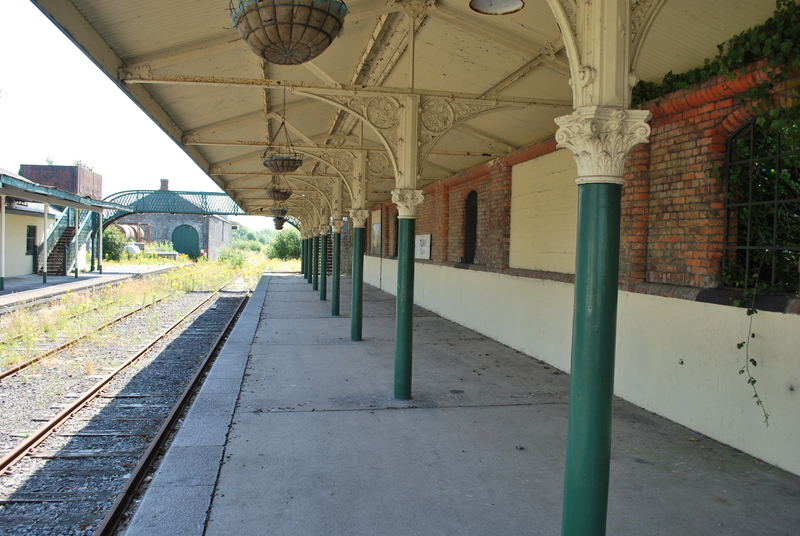 Built as part of the ‘Burma Road’, opened 1895, closed in the mid-1970s. 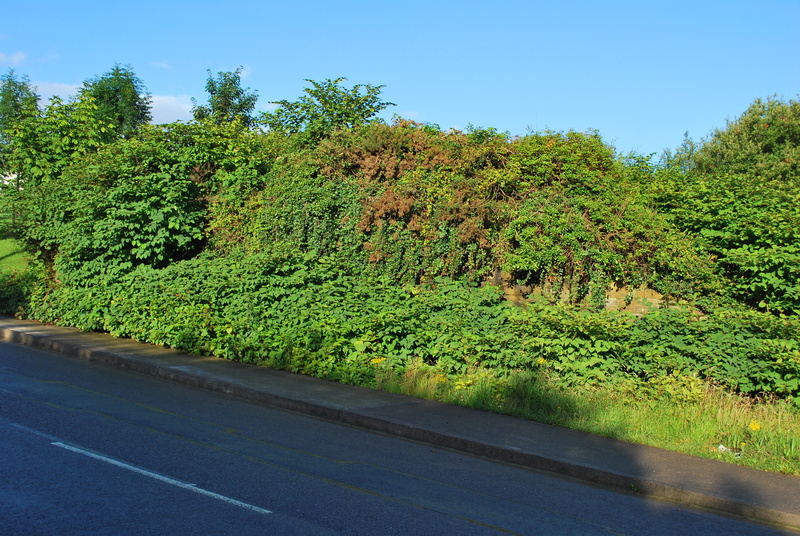 The track is still intact, and was cleared of weeds in the early 2000s, but is now completely overgrown again. 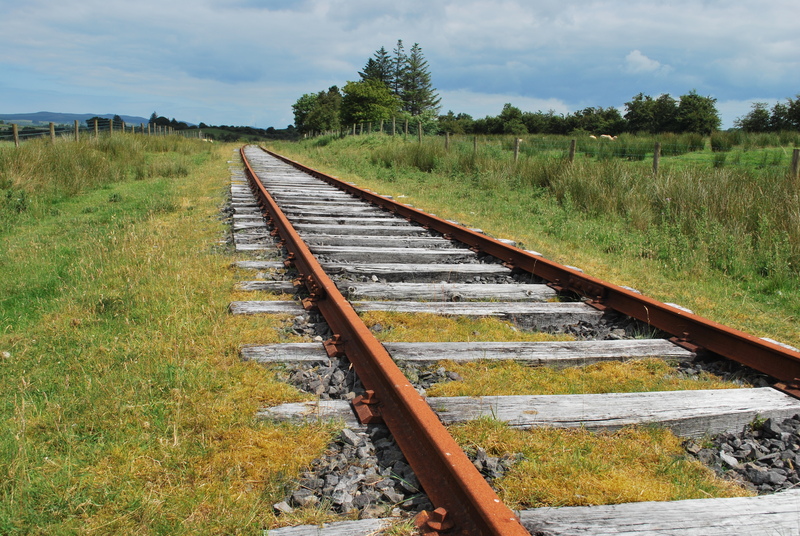 If the Western Rail Corridor had been fully re-opened, this line would have served to connect Galway to Sligo. 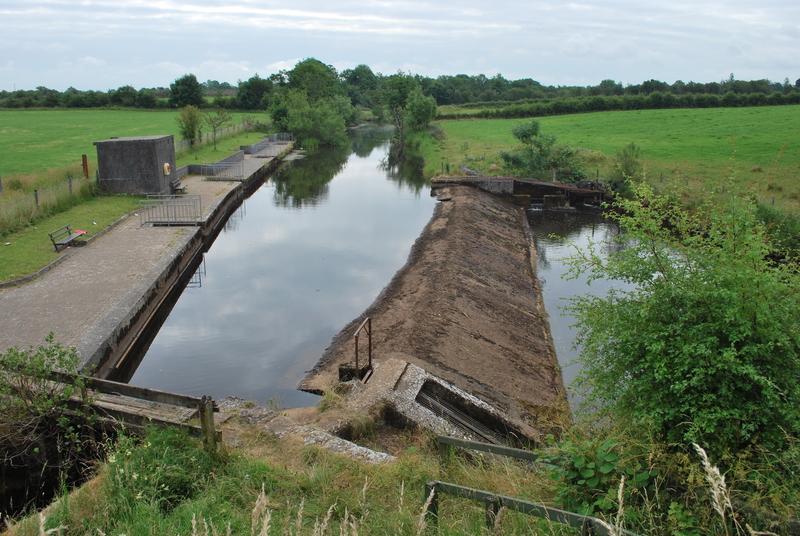 The bridge is of four arches – two over the river, one over a race to a disused mill, and one over a local access road to a weir situated immediately to the east. Here is the map link.